The Jack Sack™: Graem Bauer: "I ain't no Luke Brower!" During my celibate twenties, one of my all-time favorite shows was Alan Thicke's sitcom "Growing Pains" about a couple raising a bunch of precocious kids in comfy suburbia. Alan Thicke was the father I wish I had- a therapist who listened to his kids, who showed them attention and gave them love (you reading this, Dad?). For years, this was the best thing on television. I never missed an episode (little secret: I was totally crushing on Tracey Gold- what, like you weren't? ) 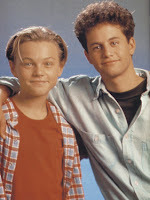 Anyway, during the last season of the show, "Growing Pains" desperately introduced a new character, a troubled teen named Luke Brower. The idea was that Luke would keep the whole Seaver clan on their toes with his juvenile delinquency and cute smile. But, in the end, he was just a product of lazy writing- a cheap (and failed) way to boost the ratings. Now some of you think I'm also some sort of gimmick, but I'm here to tell you: I ain't no Luke Brower. Nope, I want you to see me as Dawn Summers, sister to Buffy The Vampire Slayer. I'm the sibling that's always been there but who was busy doing other stuff in prior seasons. And the more you get to know me, the more you'll want to see me be the real star of the show! I'm fresh! I'm putting more Bauer into the Power Hour! Doesn't that excite you folks? What makes Jack so great? Last time I checked, he was being burned with battery acid in a Chinese prison! And his wife is dead! (Damn, I love saying that!) The difference between Jack and me is that I control Presidents, while Jack wears a purse. You tell me who's the bigger man! But no, you're all just like my miserable family- they all LOVE Jack-- Dad, my wife... and my "son," Josh. However you feel about me right now, I know you're all going to love me soon enough. I'm not a desperate ploy by writers who have run out of ideas-- I'm the next big thing! 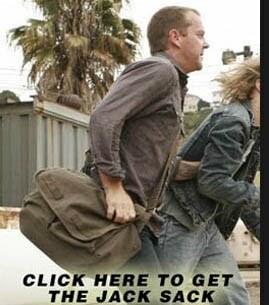 Before the day is done, you're all going to forget about Jack Bauer. "The Jack Sack" fad is coming to an end, people. They're going to have to change the name of this blog to "The Bluetooth™ Bauer!" This message was brought to you by Poochie of "Itchy & Scratchy & Poochie."